I am informed that the club was closed and the building sold in 2010 and converted to office space. Portsmouth Evening News, Thursday 18th September 1924. Claim to recover £304 from Post Office. Before the Chief Registrar of Friendly Societies, Mr. G. Stuart Robertson, K.C., at Sittingbourne yesterday the Lower Halstow Working Men's Club, which is registered under the Friendly Societies Act, sought to claim £304 from the Postmaster General, money paid into the Post Office Savings Bank on behalf of the club by the Secretary, Harry R. E. Legge, who was also sub-postmaster at the neighbouring village of Upchurch. Legge, who is serving a sentence of imprisonment in Maidstone Jail, for embezzling Post Office funds, was a material witness. It appeared however, that Legge had never notified the head office of the deposits. For the Postmaster General it was contended that the wrong form of declaration have been used in opening the Savings Bank account, that one signature (that of a trustee of the club) was a forgery, and that Legge had embezzled these sums as secretary of the club. The frauds were committed by him as secretary of the club and not as a Post Office servant. In answer to Mr. Budden, Legge candidly admitted that he thought the money would be paid by the Postmaster General. The Registrar reserved his decision. Gloucestershire Citizen, Saturday 27th September 1924. Absconding Postmaster. Kent clubs £200 loss. Through reposing implicit trust in their former secretary, Henry Richard Edward Legge, Lower Halstow Working Men's Club and Institute, near Sittingbourne, having lost £200. Legge was sub postmaster at the adjoining village of Upchurch, and when he was arrested at home on a charge of absconding with Post Office moneys he had a loaded revolver in his possession. He was convicted on a charge of fraud and missapproppriation, and is now undergoing a term of imprisonment. Before matters arrived at this stage, however, as Secretary of the club Legge induced the Committee to transfer the account from the Bank of Liverpool and Martin's, Sittingbourne, to the Post Office Savings Bank. The moneys were brought to Legge week by week, and he's signed for the receipt in his book. Everything was thought to be in order until Legge decamped and was arrested. The investigations followed, and club defalcations amounted to £303 15s. 3d. were discovered. Last week this sum was the subject of arbitration proceedings before the Chief Registrar of Friendly Societies, Mr. G. Stewart Robinson, K.C., and after a lengthy argument and examination of Legge judgement was reserved. Judgement has now been delivered, and in it the Chief Registrar holds that the Postmaster General is not liable for the repayment of sums above £20, on the grounds that Legge did not send the declaration or any communication with regard to the opening of this account to the head office, as as required by the rules. These sums amount of £200, which the club lose. The club is held to be entitled to sums of under £20, and these amount to £100. From A Dockyard Matey makes Good. The Life and Times of Robert Smith, 2015. 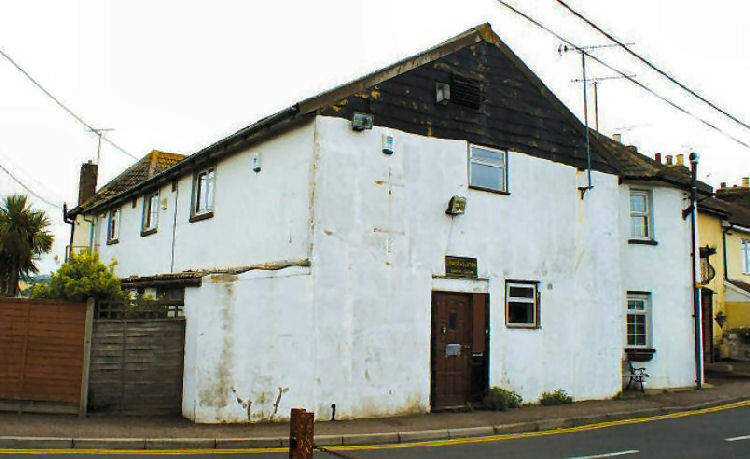 Les and I were also regulars at the Lower Hardres Working Man's Club, which was originally built for he recreation of ig Eastwoods brickfield workers and located in an oast house-style building at the end of Westfield cottages. There were again, so many characters that frequented this club, including Ray Cheyney, the Singing Shepherd (he usually gave us 'Old Shep' - bloody depressing0; Bernie the Bolt, whose blue song repertoire included Bollocking Bill the Sailor etc., and Karen, the beer Queen. She was immaculately dressed and turned out, but usually pissed by closing time.